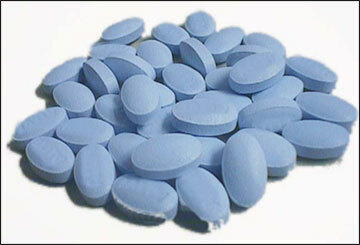 Application: A pharmaceutical application for coating pills. This coating plays an important role in many medications. Pill coating makes taking pills more pleasant and more importantly it makes certain the pill is digested correctly. The pill coating also protects the chemicals in the tablet. Some medications need to be digested slowly, pill coating assists in this time release function. Thus, various pills have different requirements regarding their coating. Customer requires an accurate flow metering system to measure air for their pill coating process and a system that can be easily incorporated into their operation. Accuracy is very important in this process. 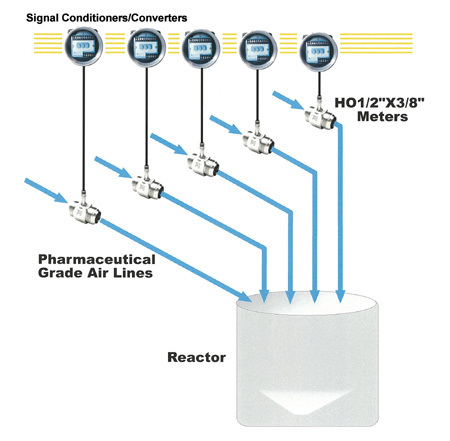 Meter must allow a set amount of air which is sent to a sprayer. Air is used to control the amount of liquid coating applied to the pills. Reaction time of the flowmeter was also an issue. A 3/8″ HO Series Turbine Flowmeter for Gas to meter air. Operating Pressure Range: 40 to 50 PSIG. Flow Range: .5 to 5 ACFM. Flowmeter signal conditioner/converter with 4-20 ma analog option. This conditioner with the modulated carrier pickup coil improves turbine flowmeter rangeability. The enclosure type is integrally mounted on the meter and suitable for hose down. Hoffer Advantage: The Hoffer flow system offers an economical and accurate solution for air measurement. It is easily incorporated into the customer’s operation. The 3/8″ gas turbine flowmeter teamed with the signal conditioner/converter provides the user with a metering system that yields wide rangeability, long term accuracy, and flowmeter linearity of ±1% or better. The response time of the HO meter is approximately 7 to 10 milliseconds. Summary: The flow system allows the customer to accurately measure air and is incorporated into their operation easily. This process is much like the use of a spray gun, with the flowmeter measuring the amount of air to control the amount of liquid necessary to coat the pills. The signal conditioner/converter sends a signal representative of flow rate back to the customer’s data acquisition center for process control.